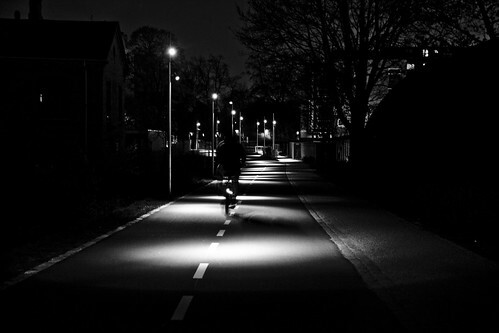 Night lights on a section of the Green Path - the new bicycle motorway. Over at Copenhagen Cycle Chic I commented that no matter where you are in Copenhagen, or what you're doing, there's some nearby on a bicycle. The same applies, in a way, to building bicycle infrastructure. There are streets without separated lanes but there is alway construction somewhere. 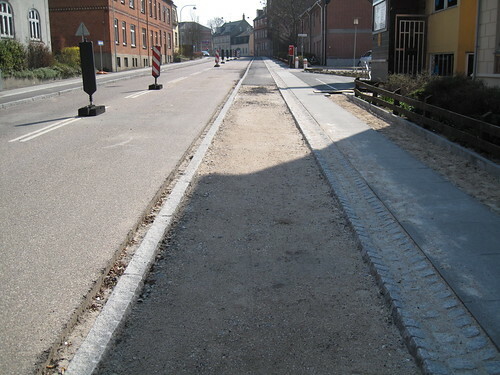 This is from Roskilde, a small city 30 km from Copenhagen, where a painted lane is now being replaced with a curb-separated lane. Parking was removed and the car lane was narrowed in the process.